A flat battery can be a pain, especially if there is nobody else about to give you a jump start with their car, this is when the JUNOPOWER Portable Jump Starter becomes handy. 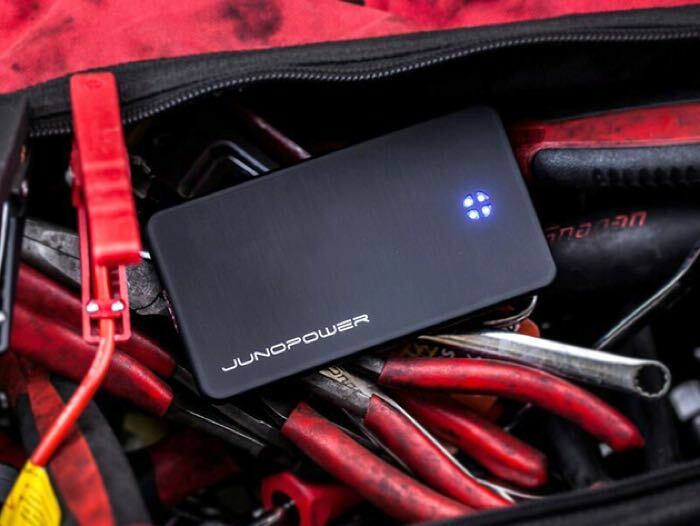 The JUNOPOWER Portable Jump Starter can be used to jump start any car and it comes with a 6,000 mAh battery pack that can also be used to charge your smartphone or tablet. The video below shows how this portable battery charger can be used to jump start you car when it has a flat battery. Here are some of the features of the JUNOPOWER Portable Jump Starter. The JUNOPOWER Portable Jump Starter normally retail for $100, although we have it available in the Geeky Gadgets Deals store for just $74.99, which is a saving of 25% off the normal retail price.